Serving as chairman of the Resolutions Committee, which reviews resolutions and makes recommendations to General Council and proposes a platform for the coming year. Represents the State Board as a voting member of the CAPE Committee. A ballot will be sent to your email address when it is time to vote. I feel the future of UPEA depends upon the strength and voice of its’ members. By working to coordinate and facilitate the needs and interests of UPEA’s diverse membership, we will be improving the quality and direction of the association’s communication to its members and the general public. 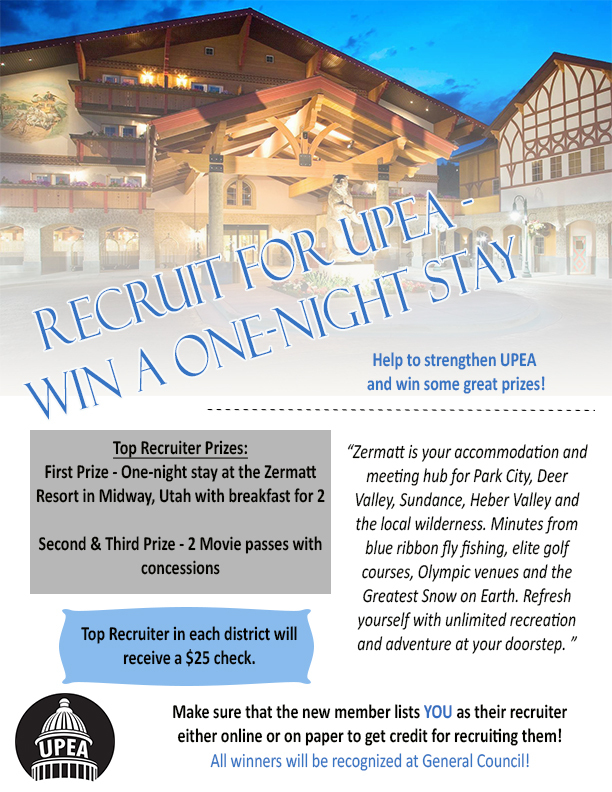 Over the years we have talked about the importance of being a member of UPEA. It is important to remember that UPEA is a grassroots member run organization and not a union,. It is important to the future growth and leadership of UPEA to ensure continued dialogue between its members and the elected officers of the association. 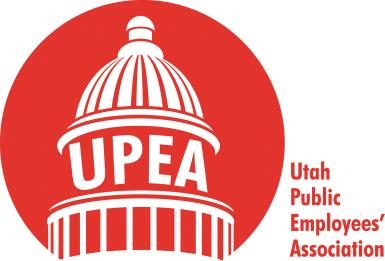 UPEA will continue to be the voice of public employees. I want to improve the communication between the association’s leadership and its member. Help staff lobby elected officials for pay increases and to fund benefits. Educate public employees about the value of being a UPEA member. Inform the general public about the difference between UPEA and a union in a right-to-work state. Tell the general public how Utah works better and more efficiently because of public employees. Together our voices will make a difference. The bigger the voice, the bigger the difference! We should never assume someone else will take care of our problems for us. UPEA is your voice! My name is Lori Benton. I am currently employed by the Division of Finance as a Payroll Specialist. I started my state employment in May 1996 at the State Office of Education. During my employment at Office of Education, I kept hearing about, and seeing flyers for meetings about this UPEA group. On several occasions, I thought to myself, I should check that out and see what they were all about. Although I don’t remember much about the meetings I attended back then, I know I liked what they stood for and they were doing good things for state employees. I joined this wonderful organization in Nov 1999. I attended my first meeting as a new member, and I was elected Chair of our District. I am not sure if they thought, hey let’s get the new person before she decides not to attend and this way we can make her continue to attend, or if they really thought I could do the job. I have neither regretted nor looked back, and really enjoy being a part of UPEA. Throughout the years of being a member of UPEA, I have held several different positions in the district. I have been Chair, Vice Chair, and secretary. I also served 2 years on UPEA State Board and currently serving as Advisory Council Member. UPEA is our voice on the hill. We as an organization are busy before, during and after legislation keeping track of bills that affect State Employees compensation and benefits. We strive to elect Public Employee friendly candidates so that our voice will be heard, by us, the state employees. The time is now; we need more people to get involved. I will do my best to achieve this goal. There are many committees to serve, and I want to make employees more aware of what they can do to help our voices be heard. I have the drive, determination and will do what it takes to keep the goals that UPEA has set forth. I am running for 2nd VP and would appreciate your vote in February.